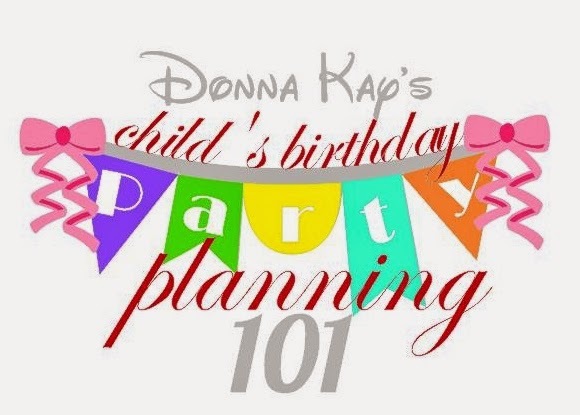 The votes are in and you have chosen for us to plan a child's birthday party for this session of Donna Kay's Party Planning 101. This series is for all of you, and you will have the opportunity to vote for more things along the way. The next poll will start tomorrow and YOU will be choosing the party theme. Please vote and encourage your friends to as well. What's in it for me you ask? How about all of the crafts I personally create as part of this session of Donna Kay's Party Planning 101 (food tents, cupcake toppers, banners, invitations, ect.) will be given away to one lucky winner - that means a substantial savings to your time and budget!! Some items will be digital files (such as invitations and food tents) some will be physical items (such as cupcake toppers, banner or sign, ect.). Detailed descriptions of the items to be given away will be included in it's post (i.e.the post with a banner tutorial would give details of the banner to be given away). Remember, if there is anything specific you would like to see covered in Donna Kay's Party Planning 101 please let me know by commenting here or on the Disney Donna Kay Facebook page.